Morris Photos - Minors in the U.S.A. 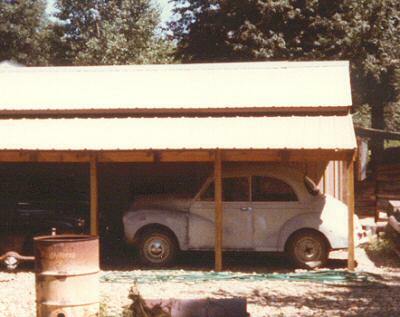 In 1981, I bought a 1963 2-door Saloon from a coworker. As you can see, it was in good shape. 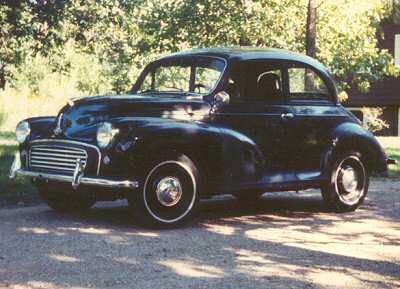 Note the whitewall tires, a very popular option in America. Needless to say I had to have some spare parts. 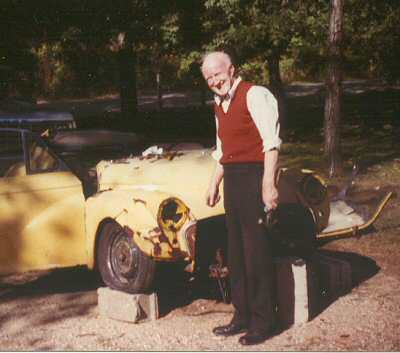 Here is Jock Winkworth dismantling a parts car while on holiday in America during 1982. 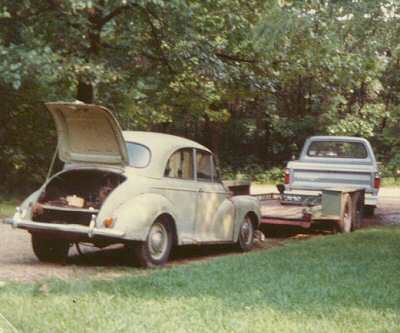 Another parts car arriving, a 1958 2 door saloon. This one had stood in a wood for many years. trees had to be cut down to get it out. The boot contained a wasps nest, which livened up the recovery mission. 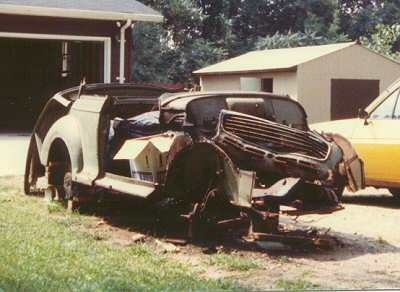 The work progressing to salvage every possible useable part from the car. 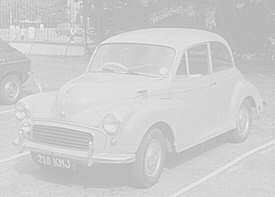 I did buy a second Morris Minor in restorable condition, a white 2-door Saloon. 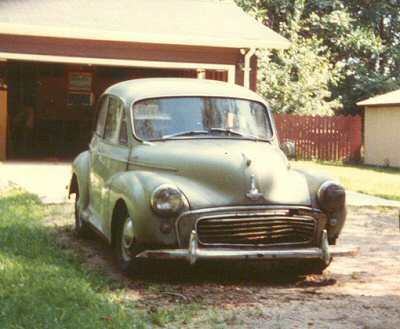 I resold it when I moved house in 1988. 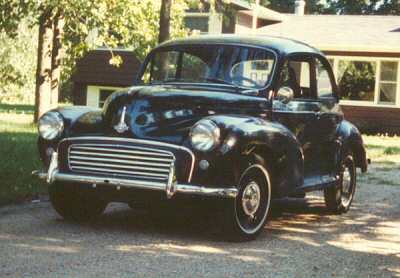 In 1995, I sold the Black 1963 Minor and all the parts (4 engines, 4 gearboxes, etc) to an enthusiastic from Cleveland.